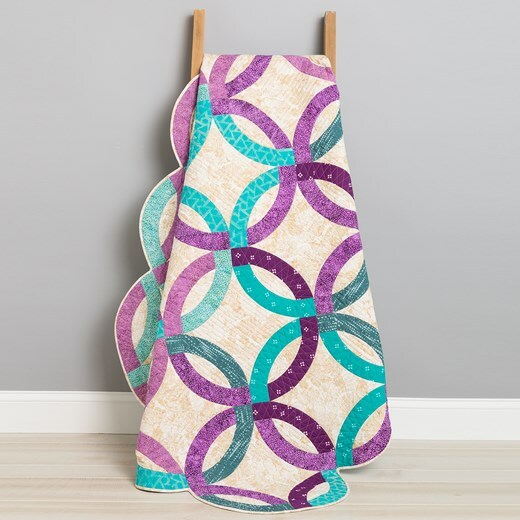 This Double Wedding Ring Quilt designed by Simplicity Creative Group, The Pattern is available for free. The beauty and romance of a double wedding ring quilt is eternal, just like the love it represents. This twin size quilt looks beautiful on a bed or as a magnificent wall display.